KTM-owned Husqvarna has showcased three motorcycles at this year’s EICMA Motor Show. Of these, the one grabbing headlines was the production version of the Svartpilen 701. Other notable attendees include the Vitpilen 701 Aero, which is essentially a Vitpilen 701 with a fairing, and the beginner bike for kids, christened as the EE5, where EE stands for the electric engine. Starting with the Svartpilen 701, the production version remains faithful to the prototype displayed last year. It gets the same 692.7cc, single-cylinder, liquid-cooled engine as the KTM 690 Duke. It churns out 74.78PS of power, a hike of 1.4PS over the 690 Duke. Peak torque figure stands at 72Nm (down by 2Nm). Feature list consists of ride-by-wire throttle, slipper clutch and traction control system. Suspension duties here are handled by 43mm WP USD forks at the front and WP monoshock unit at the rear. Braking hardware consists of single 320mm disc at the front and 240mm single rear disc, with switchable ABS. 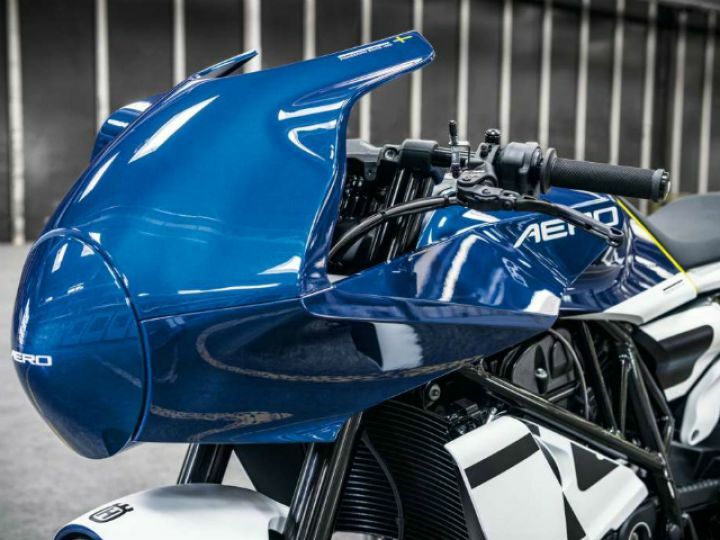 Coming to the Vitpilen 701 Aero concept, it features a retro look with a half fairing. Hints of retro design can also be seen in its cafe racer stance, with clip-on handlebars and a single saddle seat and a sleek looking rear end. Since it’s based on the Vitpilen 701, the same 692.7cc engine has been carried over here as well. Will it come to production? Not any time soon. Last but not the least, the EE5 is an electric motorcycle targeted towards young beginner riders. It gets an electric motor which produces 5PS of power. Charging time to 70 per cent is 45 minutes, with 100 per cent mark being achieved in 70 minutes. Husqvarna says the EE5 offers a ride time of 2 hours. It also sports premium WP suspension on both ends, along with six riding modes. Husqvarna hasn’t given a clear timeline on its availability.